An inquest into the death of Leicester City owner Vichai Srivaddhanaprabha and the four others who died in a helicopter crash on October 27 will open on Tuesday. The senior coroner for Leicester City and South Leicestershire, Mrs Catherine Mason, will open a hearing at the town hall in Leicester. The club chairman, Mr Srivaddhanaprabha, 60, died alongside his employees Kaveporn Punpare, 33 and Nusara Suknamai, who would have turned 33 on Tuesday, when the helicopter encountered difficulty shortly after taking off from the King Power Stadium. Pilot Eric Swaffer, 53, and co-pilot Izabela Roza Lechowicz, 46, also lost their lives in the crash. 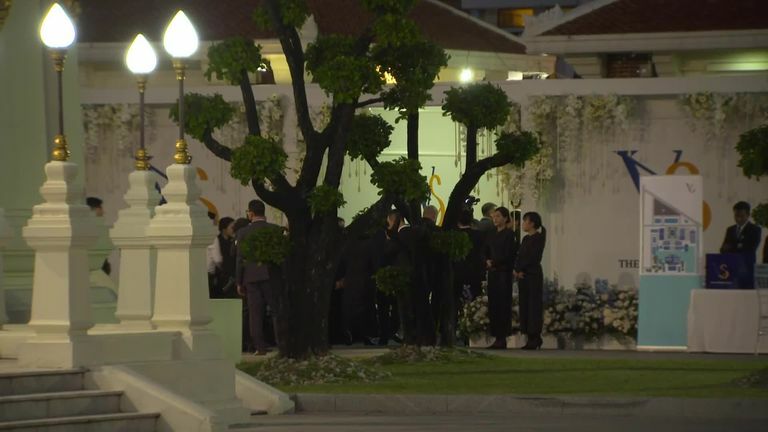 Leicester City's players returned from Thailand on Tuesday morning, where they had been paying their respects at Mr Srivaddhanaprabha's funeral, a seven-day ceremony in Bangkok.